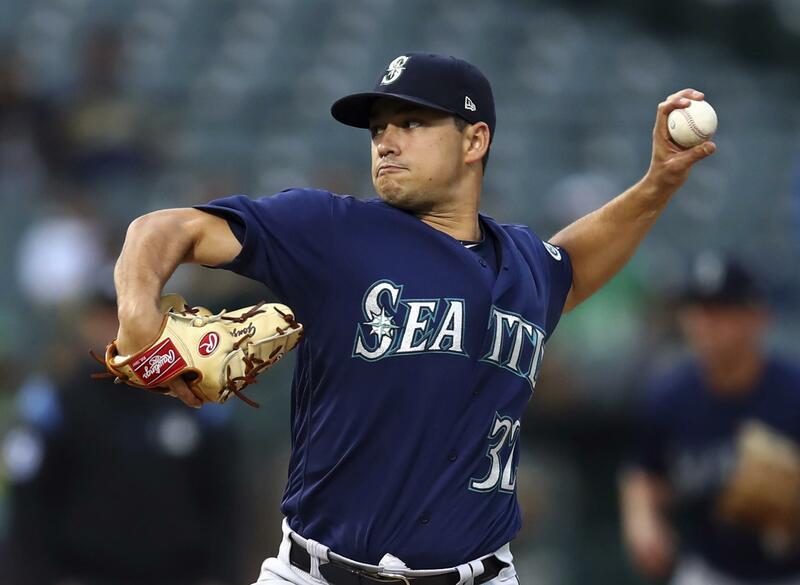 Fri., Aug. 17, 2018, 5:42 p.m.
SEATTLE – With his overall innings total building and the Mariners concerned that the increased workload has led to some late season fatigue, Marco Gonzales had his scheduled start on Sunday vs. the Dodgers postponed. The young lefty will get a few extra days rest and start the homestand finale vs. the Astros on Wednesday. Gonzales has made 24 starts this season, posting a 12-8 record with a 3.91 ERA. He’s thrown a total of 142 2/3 innings, which is a career high. In 2014, he threw 122 innings in the minor leagues. He dealt with the injuries during 2015 and missed all of 2016 with elbow surgery. Last year, in his first season following Tommy John surgery, he threw 126 1/3 innings. The Mariners are cognizant of the total innings being accrued and Gonzales recent outings where his command has wavered. He’s made it just five innings in each of his last two starts, giving up a total of 11 earned runs on 20 hits with three walks and seven strikeouts. Gonzales was diplomatic about the decision. But does he think he needs the break? Gonzales has become obsessive about his preparation and conditioning. Always dedicated to his craft since his amateur days, he’s taken it to another level. Gonzales doesn’t believe his struggles in the last two outings are from fatigue. Published: Aug. 17, 2018, 5:42 p.m.